Knight Frank, my friends across the pond, go interstellar in this incredibly detailed info graphic excerpted from their new Wealth Report To Infinity and Beyond for Property They also include a link to their interview with Richard Branson on the post. 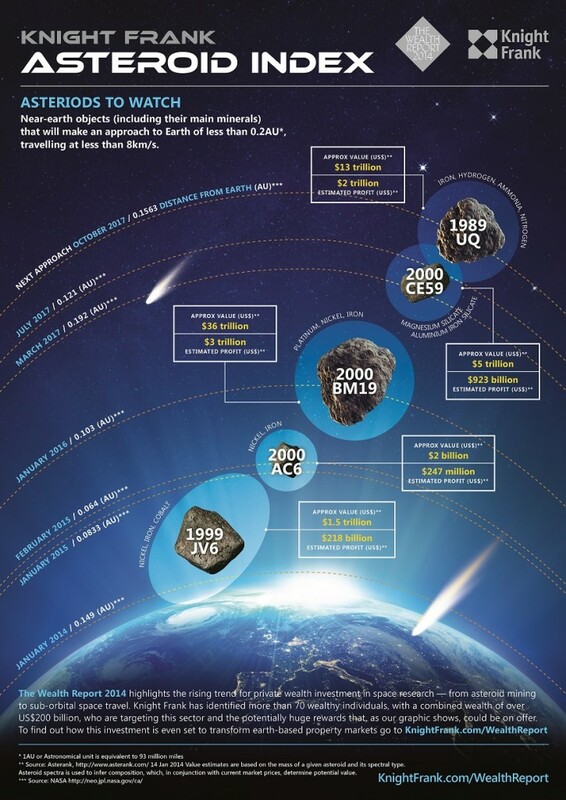 The Wealth Report 2014 highlights the rising trend for private wealth investment in space research — from asteroid mining to sub-orbital space travel. Knight Frank has identified more than 70 wealthy individuals, with a combined wealth of over US$200 billion, who are targeting this growth sector. The investment promises to transform terrestrial property markets.